The Music Hall seats 400 people. It is used for our monthly assemblies, annual school-wide winter concert, talent shows, musical performances, and much more! Our Track and basketball courts support our Physical Education programs, as well as our soccer, basketball and track teams. 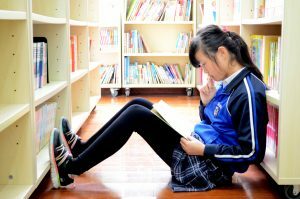 Our library contains 23,000 English books and 23,000 Chinese books. 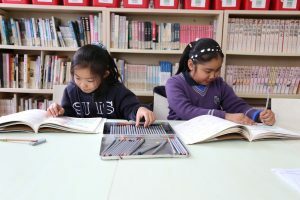 Students use the books for literacy and language practice, as well as for doing research in all subjects. 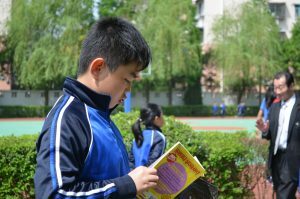 Each student is welcome to sign out 2 English books, and 2 Chinese books weekly. Our levelled English readers support teachers in providing reading differentiated instruction, enabling them to meet the needs of all students. Our Computer Lab supports learning in all subjects. 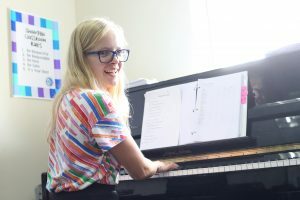 The students learn to do research, make presentations, and take part in computer programming. Grade 2-5 have five Ipads in each classroom to support in Language, Math and Inquiry activities. 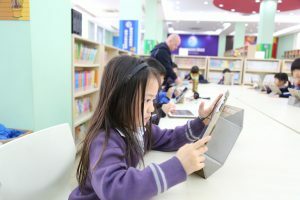 Year 1 and Grade 1 classes have weekly access to the Ipad lab, where they work on language development, Maths practice, research, and creating presentations. 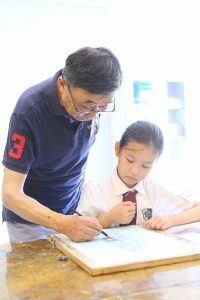 Our Art Rooms house materials and provide space for creation, and production, during both Art classes, and ECA blocks. 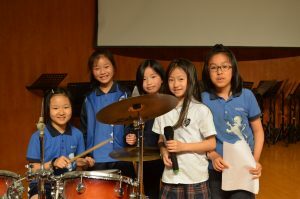 The Music Rooms are equipt with percussion, wind, and string instruments to support our well-rounded Music curriculum. The Dance Room is used for Dance education as part of our Physical Education program. It is also used as a practice-site for our Dance Teams. The Taekwondo Room can be used for special Inquiry classes and Extra-Curricular activities.